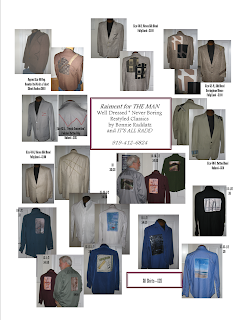 RAIMENT --: Raiment for THE MAN launched! Click on image for large view. Use return arrow to go back to blog. and am looking for permanent space for collection. There is other work not yet photographed for publication, including some "manly" scarves trimmed with a variety of found items.